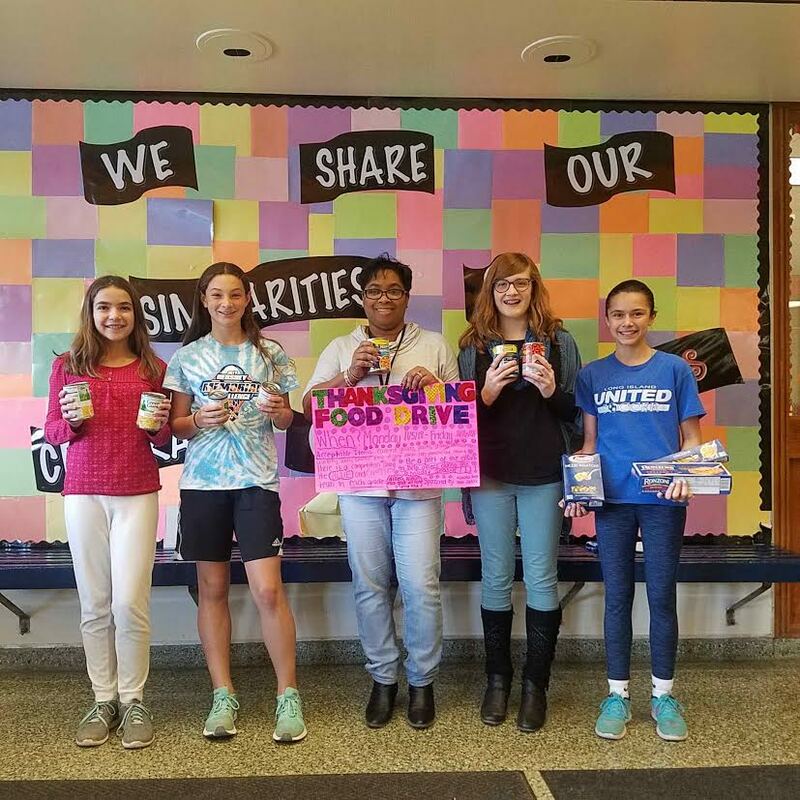 Elwood Middle School’s National Junior Honor Society held its annual food drive during the weeks leading up to Thanksgiving. Schoolwide, 2,200 nonperishables were collected and donated to the Community Food Council in Huntington Station. Additionally, more than $1,000 was collected to give families of the Elwood community gift cards for Thanksgiving and Christmas.